More than just another gullwing coupe from Mercedes-Benz, the SLS AMG is Germany’s last word in cool. This may raise some eyebrows, but the SLS AMG definitely qualifies as retro. Just look at it, it&apos;s a new version of the 300SL. And beyond its mere sheet metal, the SLS AMG is also the spiritual successor to the 300SL, both as a flagship for the Mercedes-Benz brand and also as a world class supercar. The first-ever clean sheet design from Mercedes-Benz&apos;s AMG performance division, the SLS AMG is such an impressive car you might even forget that it&apos;s retro. In today&apos;s automotive world, where 600+ horsepower and a top speed north of 200mph are hardly remarkable anymore, the importance of the 300SL might not be immediately obvious. The car first conceived as a race car, it became a road-going model in 1954. This was the first real supercar, in the modern sense of the word. There had been fast prewar cars, but none were so big a leap forward as this. It was technologically ahead of the cars of its day, and it was also built to be highly aerodynamic. This made it the fastest production car in the world at the time, and it gave the whole brand a big image boost in the US. So the modern version had to be impressive as well, and Mercedes-Benz did not disappoint. The engine is a 6.3-liter V8 (actually, this isn&apos;t true. The engine displaces 6,207cc, but Mercedes insists on putting "6.3" badges on it anyway) which produces 563 horsepower. The SLS AMG is heavy, tipping the scales at 3,562lbs, but the power-to-weight ratio of 348 hp per ton is certainly supercar class, if not world-beating. The transmission is located at the back for better weight distribution, and the body is made of aluminum. The car will hit 62mph in 3.8 seconds and run the quarter mile in 11.7 seconds. Massive brakes with six-piston calipers and optional carbon-ceramic discs reign in all of that speed. There&apos;s no way of getting around talking about it, the SLS AMG has gullwing doors. These are added as a tribute to the original, and are part of what makes the car so surprisingly true to its ancestor. These can be slightly difficult to close while seated, but this is a minor concession to have to make for something so cool. You&apos;ll find impressed onlookers any place where you exit the vehicle, and if you were so inclined, it&apos;s a pretty effective way to find a date. No review of the SLS AMG seems to have neglected to mention that, in the event of a rollover, explosive bolts will separate these fancy doors from the body. Mercedes likes to make this point a lot so that you know they&apos;ve thought about safety, and they have. However, the constant mention of the car rolling over doesn&apos;t always put one at ease, and this isn&apos;t helped particularly by the use of the word "explosive." The styling of the car is particularly well executed. The fact that it borrows so heavily from a car designed in the early Fifties means that it is restrained by modern supercar standards. It is attractive enough to draw a lot of attention, but still stops short of making you appear desperate for said attention. This is the very essence of cool, to make looking good seem effortless. This coolness earned the SLS AMG a spot on the cover of Gran Turismo 5, a spot in the most recent Transformers movie, and even an appearance on the disaster of a show which was The Cape. A number of different versions of the car exist, including a neon yellow all-electric version and a convertible. A FIA GT3-spec version exists as well, and this has been reasonably successful in endurance racing, winning the 2012 24 Hours of Dubai under the direction of Black Falcon Racing. There is a GT version for the street, which is slightly more powerful and offers more options than the standard car. The top street-legal trim has yet to be unveiled, but it is known that there will be a Black Series, and it has even been spied testing at the Nurburgring. 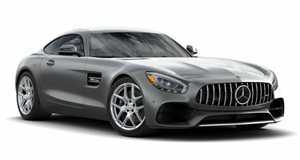 As daunting a task as it must have been for AMG to create a car which resembled the 300SL in both looks and sprit, they actually did manage to pull it off. It has been called the best car in the world by some members of the automotive press, including Jeremy Clarkson. On paper, it is surpassed by a number of other cars. It doesn&apos;t have the highest top speed, the quickest 0-60 time or the highest price tag. It isn&apos;t even made of especially exotic materials. But at the same time, you&apos;d have a hard time finding anything wrong with it. It even has a certain air of sophistication, something you simply can&apos;t get with a look-at-me bright orange Lamborghini. It is truly a gentleman&apos;s supercar.